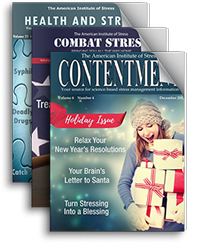 An AIS Certified Product, Alpha-Stim, supplied this survey showing that the device offers better outcomes than treating PTSD with drugs– and with no side effects. To purchase an Alpha-Stim, you must first receive a prescription from your physician. For more info, visit www.alpha-stim.com. Claims that heart attacks may be caused by PTSD (Post Traumatic Stress Disorder) have been rejected by courts and governmental review panels because of the lack of scientific support. However, that may change as a result of a recently published report on almost 2,000 male veterans participating in a continuing study that began in 1986. Average age at the start of the study was 62 at which time none had a history of pre-existing heart problems. All subjects received periodic medical examinations as well as evaluation for symptoms of PTSD. During the 10-16 years of follow-up, 255 participants developed either fatal or non-fatal coronary events or anginal symptoms. Researchers reported that the number and severity of PTSD symptoms were significantly associated with deaths due to coronary heart disease as well as non-fatal heart attacks. The link with angina was not as strong. These relationships persisted even when confounding influences such as depression, smoking, family history of heart disease, cholesterol levels and alcohol consumption were taken into consideration. Although the mechanism of action is not clear, PTSD is associated with increased levels of stress related hormones and fatty acids that can contribute to coronary heart disease and arterial damage. Since the study group was largely limited to older white men who served in the military, it is not known if similar results would be seen in women, nonwhite men or civilians. In addition, PTSD symptoms and severity data were derived from self-reports by the veterans, which may be less reliable than assessments based on interviews by qualified health professionals. Stress-related psychological problems are not uncommon in patients with coronary heart disease but it is often difficult to determine which came first. This report was impressive because of the correlation between the severity of PTSD symptoms and the frequency of fatal and non-fatal heart attacks in a prospective study. Reference: Kubzansky L.D., Koenen, K.C. et al. Prospective Study of Posttraumatic Stress Disorder Symptoms and Coronary Heart Disease in the Normative Aging Study. Arch Gen Psychiatry. 2007;64:109-116. A message regarding Post Traumatic Stress Syndrome, by Roland Van Deusen. A British soldier serving in Iraq was recently awarded £375,000 (over $740,000) after witnessing a friend’s arm blown off due to malfunction of an anti-tank missile. This is a groundbreaking settlement since there is usually no liability for injuries sustained as a result of military operations. In this case, the Ministry of Defense was sued and settled out of court because the incident did not take place during combat but while a shoulder rocket launcher that misfired was being demonstrated in the desert well behind the frontline. Two others who witnessed the event have also sued and these as well as four claims related to other events are still pending. The injured soldier had already received an undisclosed amount of compensation for his disability that reliable sources estimate to be over $1 million U.S. The highest military PTSD award to date had been £620,000 (around $1,225,000) to a soldier crippled by psychological problems after serving five tours in Northern Ireland where he worked undercover and witnessed terrorist atrocities but received inadequate care. Many legal experts were surprised that the Ministry of Defense chose to settle this claim instead of relying on the defense of “battlefield immunity”, which prevents them from being sued for injuries suffered in war zones. The reason given was that the Army accepted liability because the weapon was not being fired in combat at the enemy at the time. The settlement is particularly surprising since of the more than two thousand prior PTSD claims, a High Court judge had rejected all but four. His ruling stated that the Ministry could not be expected to provide “safe” working conditions in combat and that such legal immunity should be applied “widely'” and should also cover “planning and preparation” for fighting. This unprecedented payout flies in the face of the above decision and represents a generous interpretation of the law that threatens to create a costly compensation loophole for soldiers, even if they are only a few miles from the fighting. It also raises confusing differences in the way the wounded are treated depending on how close the enemy is, despite the fact that they suffer similar physical injuries or mental trauma. This is a web-based self-help resource offering 17 tools to address stress-related symptoms and enhance problem-solving skills. It includes nine tools to help you manage anger.